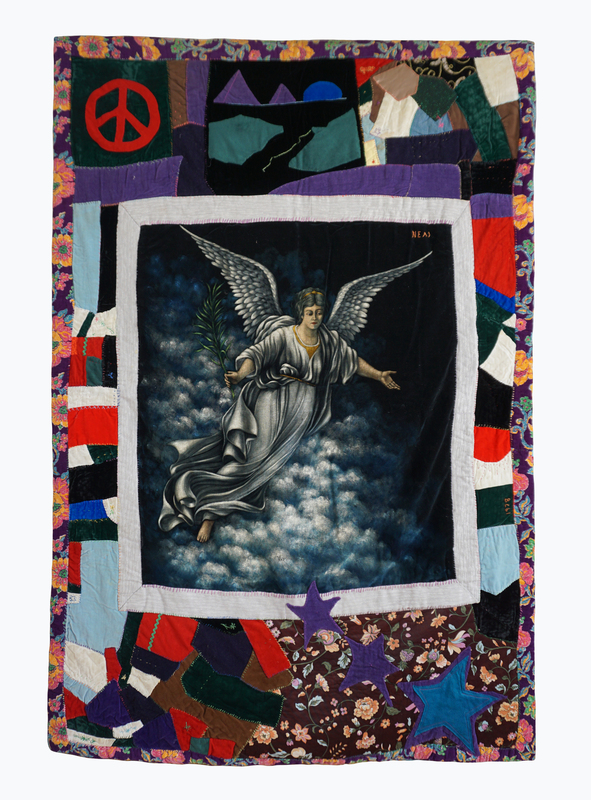 The Childress Collection contains approximately 300 quilts collected by Marjorie Childress since 2000, and continues to grow. You can find the quilts and Marjorie in Albuquerque, New Mexico. 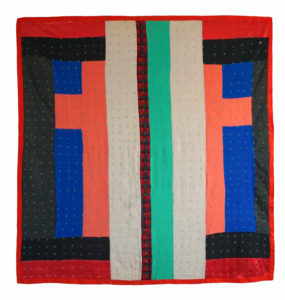 The emphasis is 20th century, but there are some older quilts as well, the earliest created in 1824. The collection is principally organized through the lens of design and narrative, with an emphasis on improvisation, culture, and remembrance. 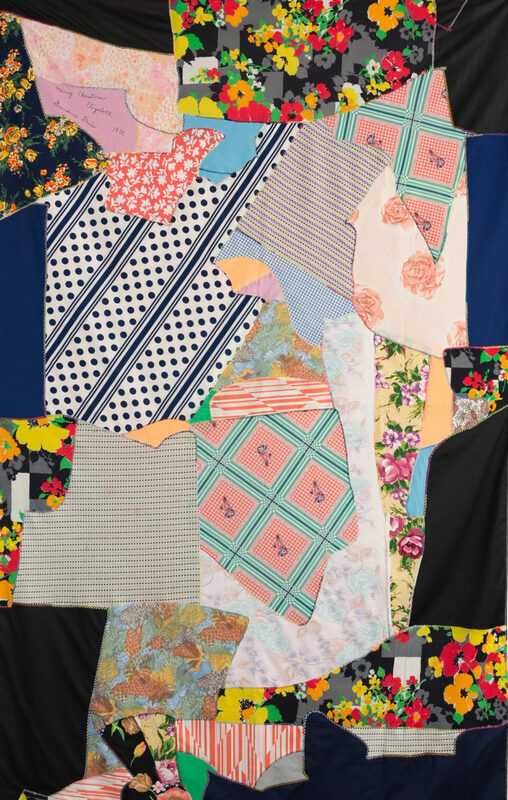 Groupings include quilts of the 1960s-1970s, and quilts made of clothing, wool, and denim, often patched. 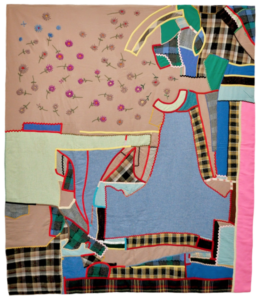 Four quilts featured in Unconventional & Unexpected: American Quilts Below the Radar, 1950-2000 by Roderick Kiracofe. Two quilts from the collection are featured prominently, one on the back cover, and one–affectionately known as the “cow quilt”–on the back dust jacket of the book. Kiracofe later featured the cow quilt in an exhibit at the San Jose Museum of Quilts, called Found/Made, along with one other quilt from the collection. 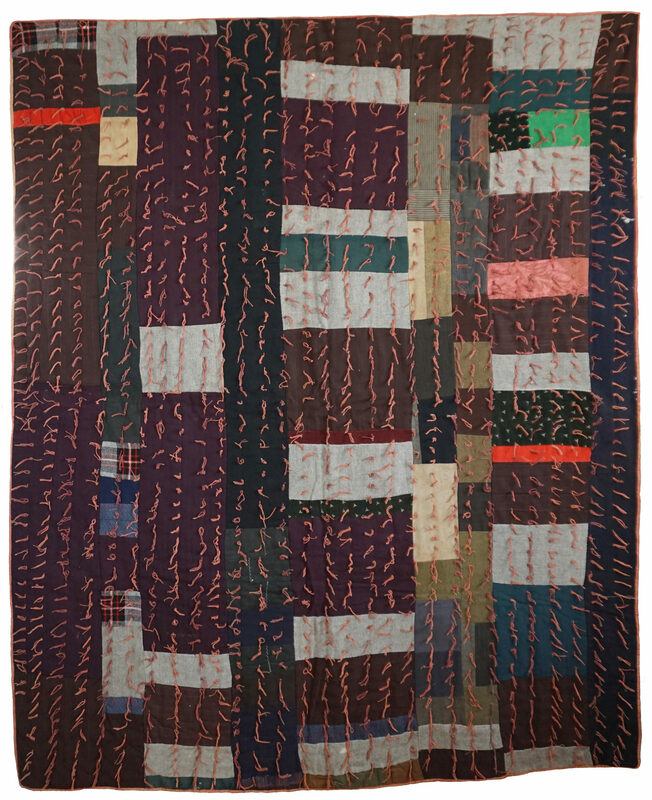 One quilt featured in the Second Edition of American Quilts: The Democratic Art by Robert Shaw. 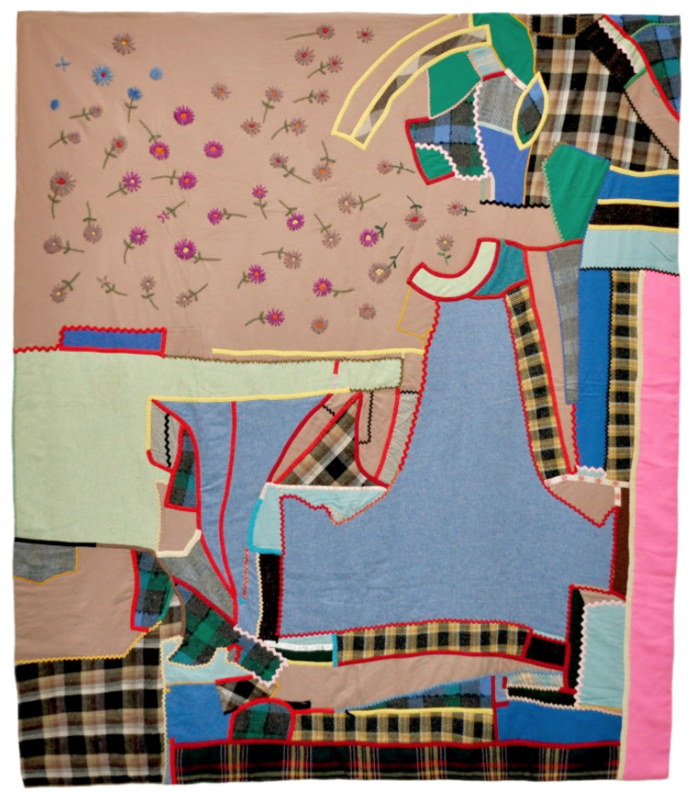 The 1975 Equality Quilt Top is featured in Quilts and Human Rights from Marsha MacDowell, Mary Worrall, Lynne Swanson, and Beth Donaldson, published by the University of Nebraska Press. 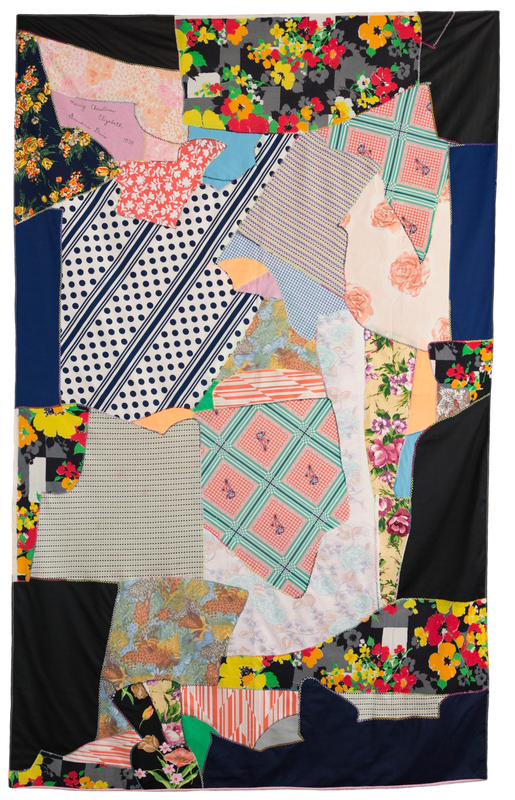 This quilt top is an epic example of how the women’s movement infused the quilt revival of the 1970s. One quilt featured in Modern Quilts: Designs of the New Century by the Modern Quilt Guild. Pronouns: “She” is used as the default pronoun rather than “he”, with acknowledgement that men have also historically produced quilts. Dates: Quilts are given approximate dates based on research, experience and in some cases memory of fabric, construction, and motifs. Generally speaking, consider a quilt made within a 10 year period on either side of the date given. And please be in touch with your thoughts about the date of a quilt. Ethnicity: A quilt is labeled with ethnic origin if information about the ethnicity of the quilt maker was gleaned in a context in which there was no profit potential. After a purchase is made, inquiries are generally made about any identifying information about the quilt maker. 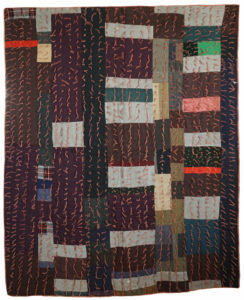 In a few cases, a quilt was attributed to an African American quilt maker or was purchased from an African American estate. In those cases, the quilt is labeled as African American. I do this because to do otherwise is to erase the work of women of color.